Margaret Granville Wandooline (“Wanda”) Stuart . 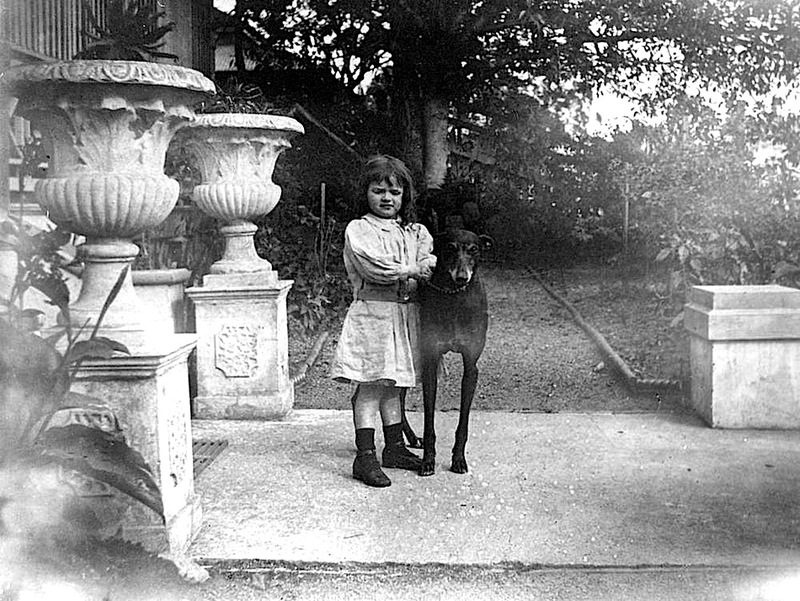 . . posing with “Garrick” at her home in Toowong, Brisbane, Queensland, 1899, photographer unknown, via State Library of Queensland Commons on flickr. Wanda was the daughter of P. W. G. Stuart, private secretary to the Governor of Queensland.